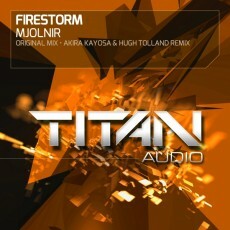 This landmark release marks the return of the infamous Firestorm after several years of on the sidelines. With expertly crafted pads and exciting lead melodies, Mjolnir does not disappoint! The intricate layers fuse perfectly to create a lush, peak time uplifter which is right at home on Titan. Akira Kayosa & Hugh Tolland apply a simplified approach, foregoing the original main melody, they adapt the pad chords to work as a lead, resulting in a solid trancer in their proven, well polished UK style.